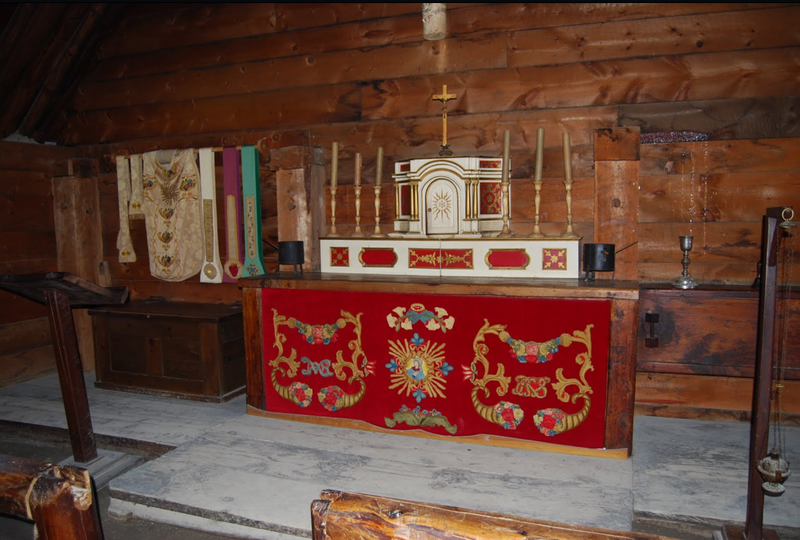 As we continue to pray for our departed under the last of the stunning autumn foliage, there’s no more perfect time to look at some uniquely North American Requiem Masses. 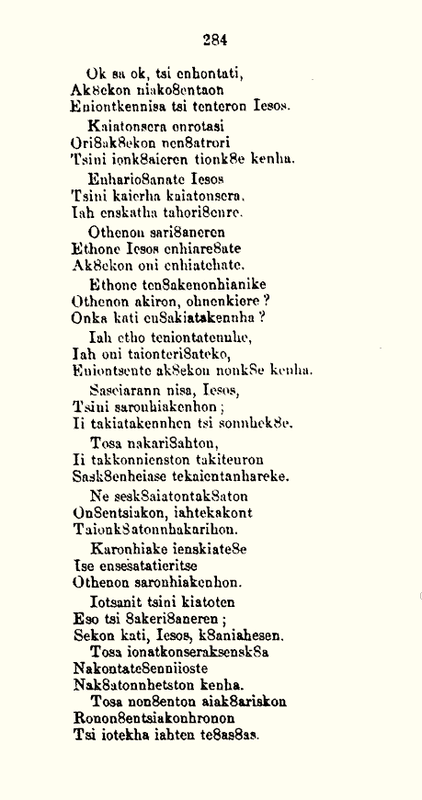 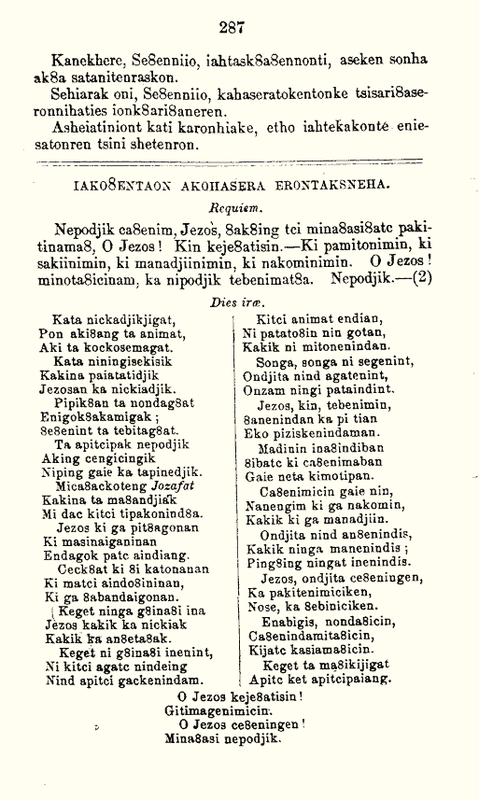 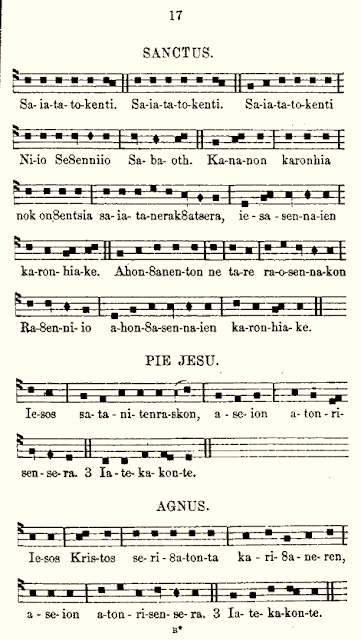 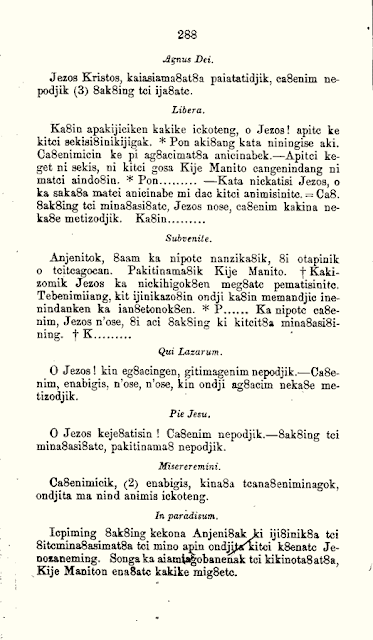 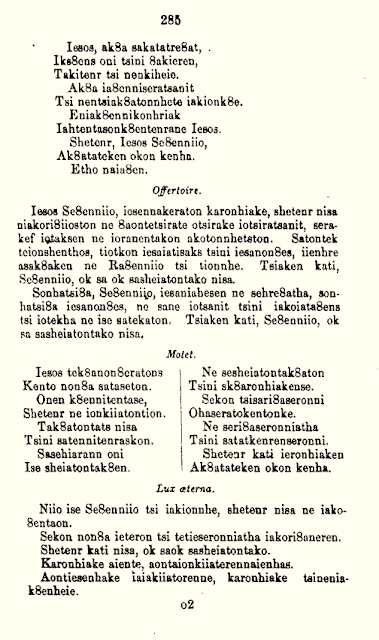 These Masses come from the Tsiatak Nihonon8entsiake, or Book of Seven Nations, published in Montreal in 1865 for the American Indian mission of Lake of Two Mountains, which contained both Mohawk-speaking and Algonquin-speaking Catholics. This mission, like others in the area, was permitted to use the vernacular for the sung propers and ordinaries of the Roman Mass. 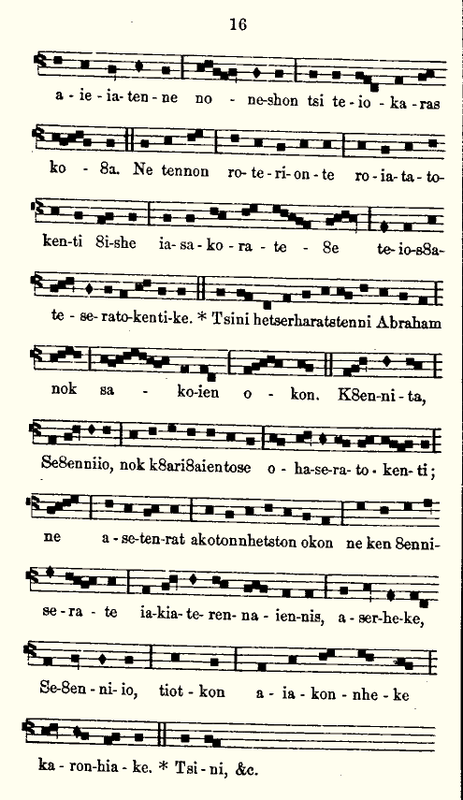 The Requiem Mass was called in Mohawk, Iako8entaon Akohasera. 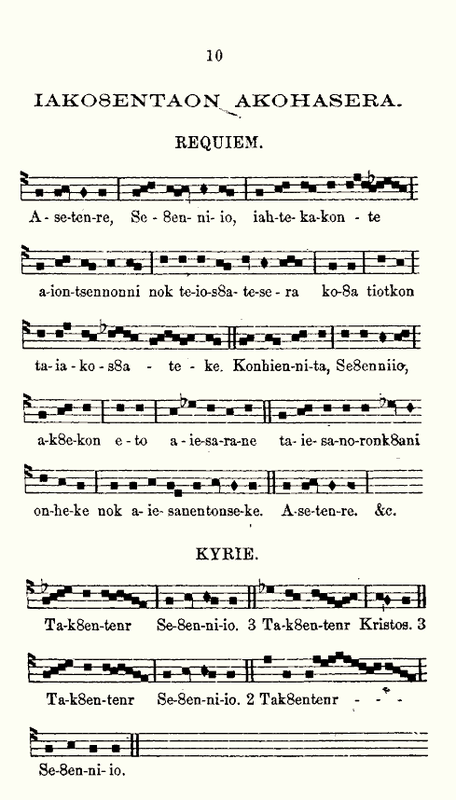 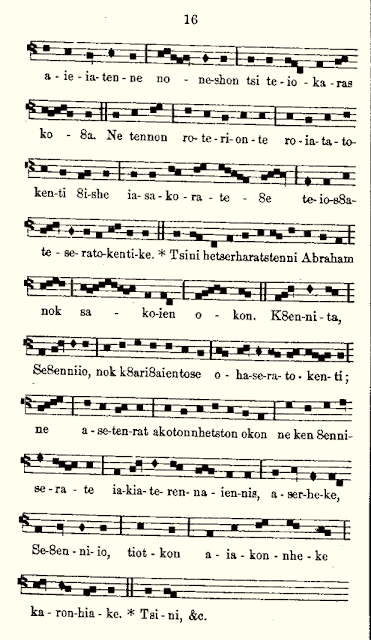 It is the first one featured in the Book of Seven Nations and, judging by its prominent position and the inclusion of the chant notation, seems to have been the main Requiem in use at Lake of Two Mountains. 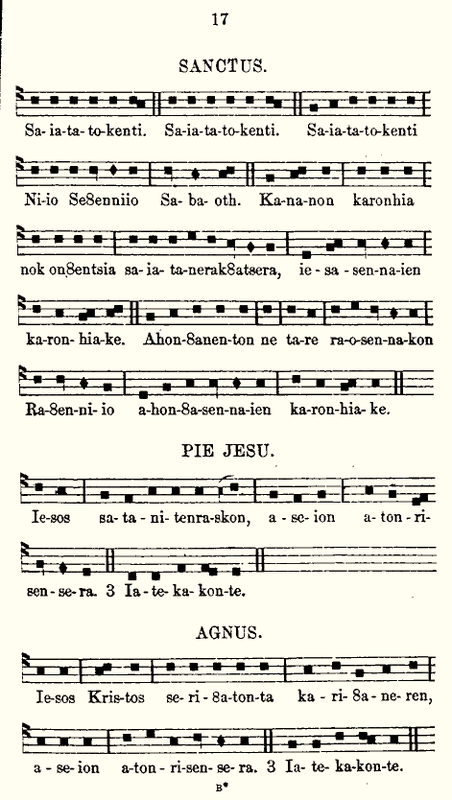 The listed ordinaries and the propers follow the Latin Requiem Mass quite closely, except rendered in the Mohawk language. 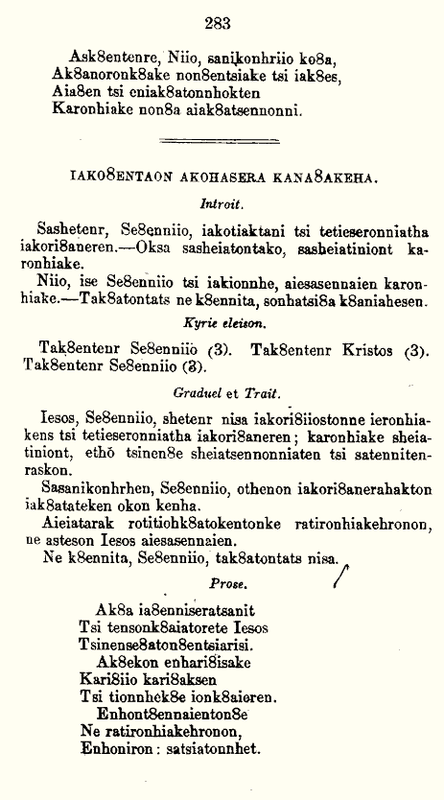 I have not attempted to translate them but they seem to be fairly straightforward renderings of the Roman texts. 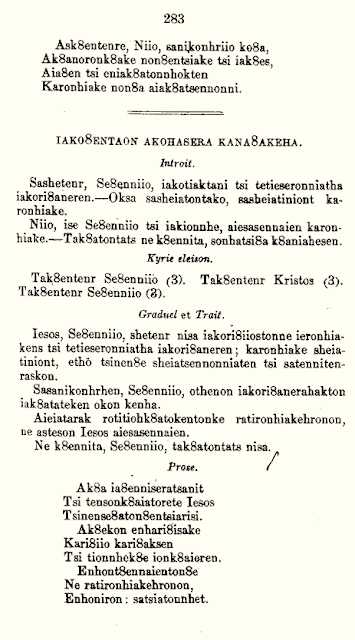 The “8” seen in some of the words, e.g. Se8enniio = “Lord”, literally “you who are master”, is a letter devised by the Jesuit missionaries for a “w” sound. 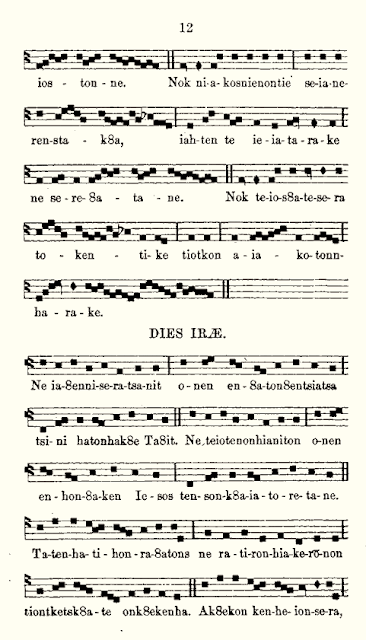 Two more Requiem Masses are listed under the commemorations for the faithful departed on Nov. 2, though without chant. 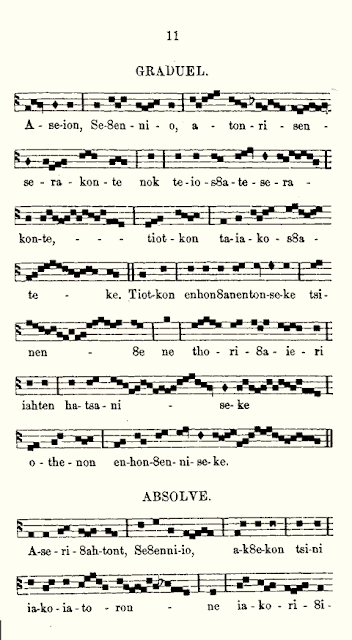 One is the Mass “Kana8akeha” — according to the use of Kahnawake. 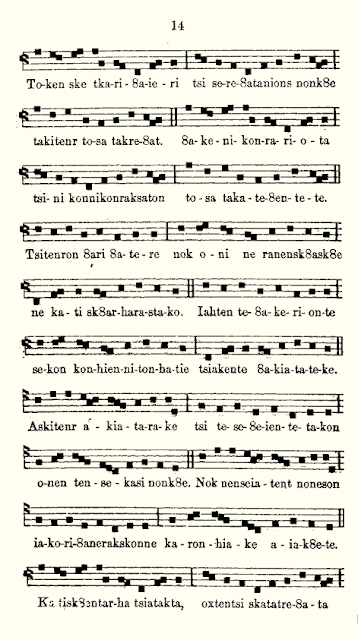 Kahnawake, now mostly known as a site of pilgrimage for the relics of Blessed Kateri Tekakwitha, formerly had an important political role as the “principal fire” or capital of the Seven Indian Nations of Canada, a confederacy of Catholic Indian tribes around the St. Lawrence River. 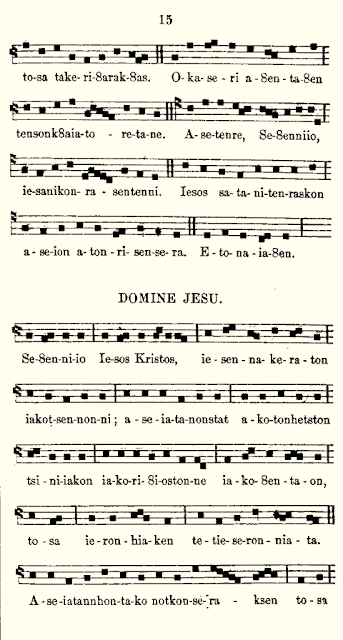 Undoubtedly, its political and religious significance gave a certain prominence to its liturgy. 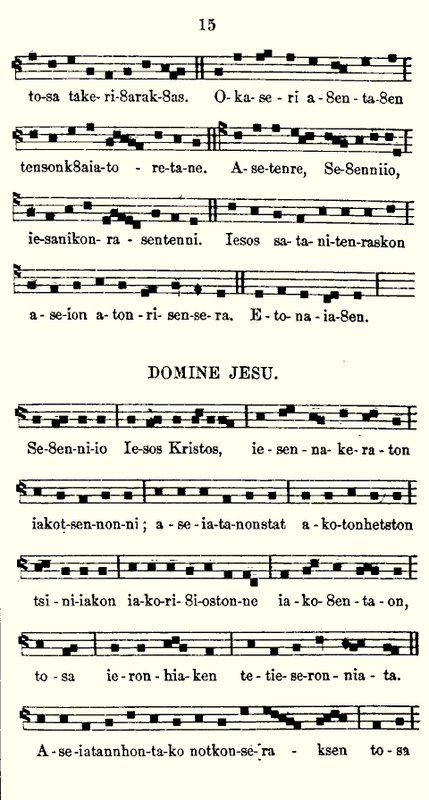 This third Mass is missing many propers of the original Roman Rite. 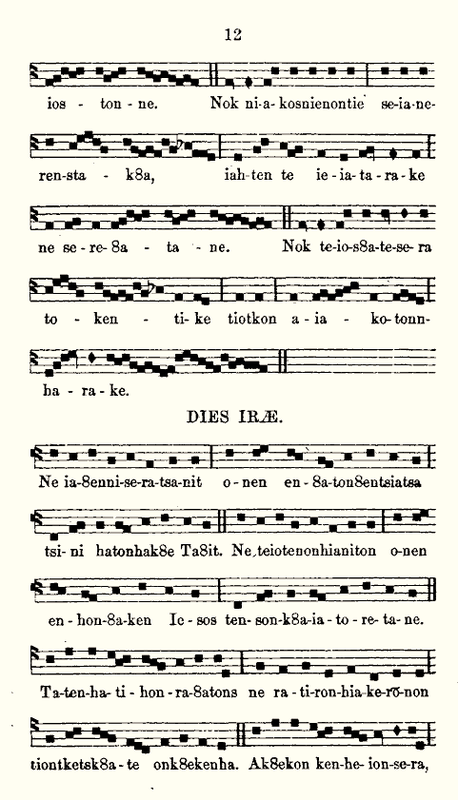 There is no Gradual, Tract, Offertory, or Communion; just the Introit Requiem and the sequence Dies Irae. 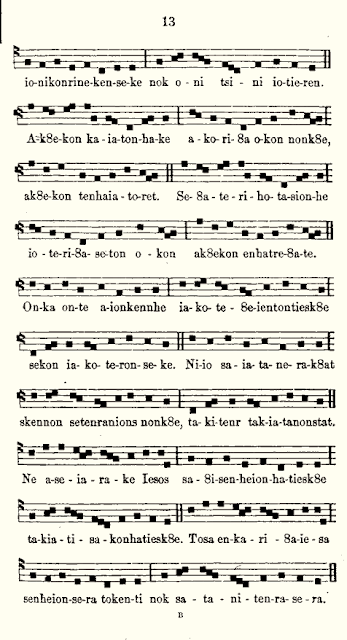 In this respect, it is similar to Requiem Masses found in the paroissiens of neighboring Montagnais, Micmac, and Penobscot missions, which are also missing these propers to varying degrees. 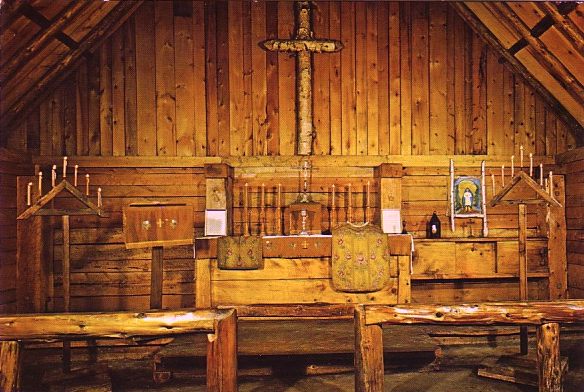 These vernacular Mass settings are an excellent illustration how genuine inculturation was put into practice in the North American missions in the period between Trent and Vatican II. Certainly, they also show the affection that American Indian Catholics had for the ceremonies of the Roman Rite — which they had made in a unique way their own. 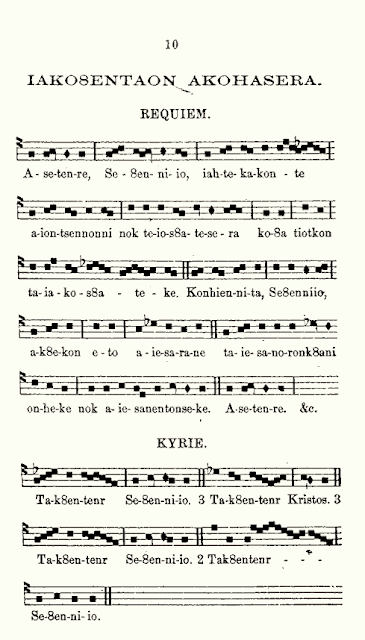 Claudio Salvucci is the author of The Roman Rite in the Algonquian and Iroquoian Missions: From the Colonial Period to the Second Vatican Council (2008), available from Evolution Publishing.